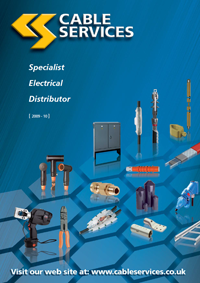 This micro site is a resource for specific manufacturer’s information on the range of HV cable joints, termination and accessories we supply and provides in depth information and specifications. Heat shrink design for voltage classes up to 72.5 kV. Heat shrink design suitable for all climates, areas and environments for voltage classes up to 72kV. Connectivity torque controlled lugs & connectors for high voltage terminations and joints for voltage classes up to 72kV. Pre-fabricated three piece joint design for voltage classes up to 145 kV. High voltage outdoor termination (OHVT-C) design for voltage classed up to 245kV. Dry self-supporting termination (OHVT-D) design for voltage classes up to 145 kV and operation under severe environmental conditions. Dry switchgear & transformer termination (PHVS & PHVT) for voltage classes up to 245kV. Connectivity switchgear & transformer termination (SHVT & THVT) for voltage classes up to 170kV. Fibre optic add on kit for HV cable accessories. Link boxes for use with HV cable accessories. Cable Services are able to offer full technical support for the full product range of high voltage cable joints and termination products.